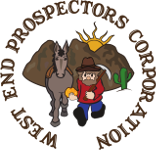 Jerry Hobbs | West End Prospectors Corp. This event will take place in honor of Jerry Hobbs, the founder of the PLP (Public Lands for the People) and mining rights legend who dedicated many years of his life to fighting for our rights to public lands. Sadly, Jerry passed away Dec. 28, 2014, although he is gone - he is not forgotten! The PLP, MMAC (Minerals & Mining Advisory Council), Sleepy Bear Mining & American Prospector Treasure Seeker ask you to "save the dates" for the 2015 Oktoberfest PLP/MMAC outing event. 2015 marks the 25th year anniversary for the PLP! Objective: Our goal is to bring all types of outdoor enthusiasts TOGETHER and UNITE ourselves in effort to raise funds for the PLP and MMAC. The PLP Is a A 501(c)(3) Non-Profit Organization which fights for our rights to public lands. As outdoor enthusiasts & Americans WE ALL have rights to public lands, which are being taken away from us more and more each day. This event raised about $9,500.00 for the cause last year, we hope to do the same or even more at this year's event!